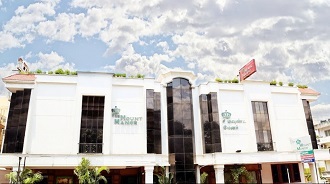 This budget hotel is located opposite to the Officers Training Academy at GST Road. There are 40 comfortable rooms, and also boasts of the Delicia, a multi-cuisine restaurant. The hotel's proximity to the airport and railway station has made it an ideal stopover for both, the business as well as for the leisure traveler.